Being diligent about your home’s overall maintenance often involves foundation, rooftop and siding inspections over the years. Although building-envelope inspections are crucial to any structure’s longevity, another concern revolves around moisture exposure. 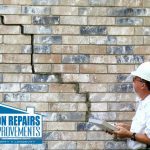 At Foundation Repairs & Home Improvements, our Bessemer, Alabama, team is constantly consulting with local residents about their home’s moisture levels. When it comes to exterior waterproofing your home, our reputable company is your best solution. As your local waterproofing company, we have over 30 years of experience within Alabama, including Birmingham. We understand how the humidity levels rise and drop during the various seasons. Allow our crew to survey your home from the roof to crawlspaces. Moisture problems may be present in any area of your home. 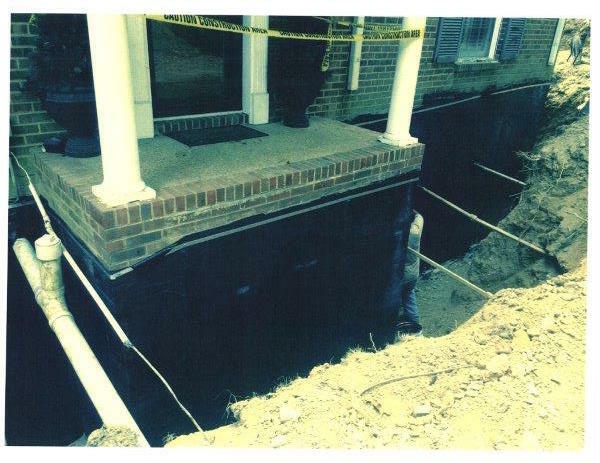 Basements can develop water issues over time from the surrounding soils conditions. Waterproofing your basement keeps water & moisture out of your basement so mold & mildew doesn’t form and keeps your home healthy. 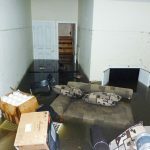 Interior water management system – Having and interior water management system helps waterproof basement by having a sump pump to remove any water or high moisture levels in your basement by directing the water to the sump pump. Sump pump installation – Sump pumps are automatic pumps that remove excess water in or around the foundation or your home. This helps to keep the home from having excessive water issues with high moisture or wet soil conditions. Floor Supports/Floor joist – Floor supports can help in assisting your floor joists with the weight and settling to keep your floors from sagging and shaking. These are common problems with your home that happen over time. Floor joists can become damaged for a variety of reasons, but they can also be replaced and repaired. Floor joists are a main factor in your nice tile or hardwood floor staying right where it needs to be, under your feet. 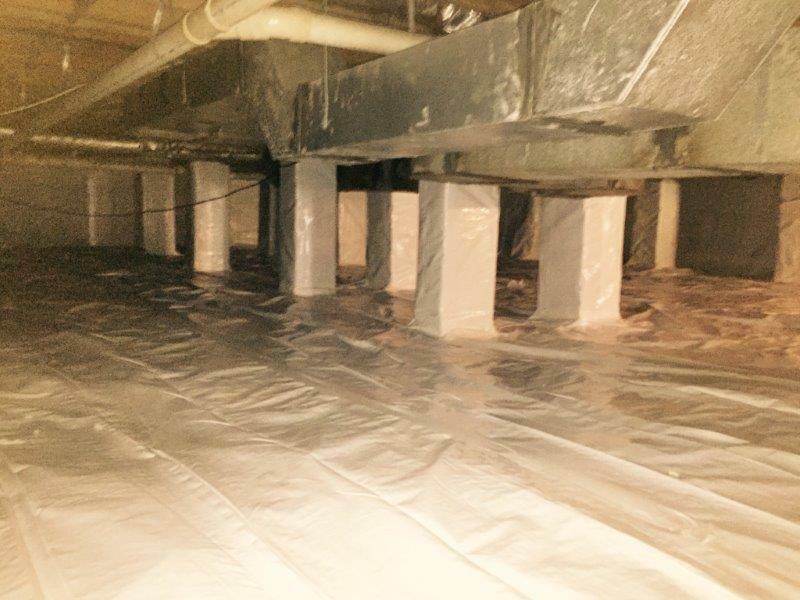 Encapsulation vs. moisture barrier – Crawl space encapsulation helps in a variety of different ways, to keep your home healthy and structurally sound. Encapsulation take all that mildew and moldy smell from a damp or water filled crawl space and turns it into nice clean space. The air you breathe in your home mostly comes from your crawl space. You don’t want that wet musty smell to be what you smell now do you? What about moisture barrier? Moisture barriers can be affective but not to the extent of an Encapsulation. Moisture barrier is poly that is placed on the ground and around the piers covering the ground to block moisture from rising to the wood. This is only affective with proper ventilation with vents. Vents allow air to pass through the crawl space to keep your crawl space dry. If your soil has a high moisture content on a consistent basis then a moisture barrier might not be affective like an encapsulation. Too much moisture under your home can deteriorate the wood with mold, fungus, as well as weaken the strength of the structure. 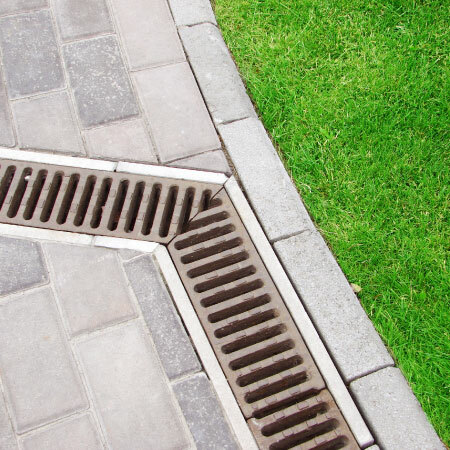 French Drains/Gutters – French drains and gutters are a good way to DIVERT water from your home to help in keeping water out of your crawl space or basement. 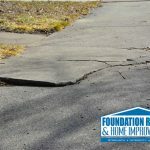 These two methods can be affective if done right together but if not will allow water to rest right up against the home causing significant damage to the foundation. Hydrostatic pressure causes many issues to a foundation like: bowing basement walls, cracked basement walls, shifting of the foundations, increased settling, and many other issues. Making sure that your home is protected from water problems can be a very big preventative measure. Gutters typically are where people make a mistake. When gutters are installed if they are left to drain water right up against the foundation the can mess with the soil around the foundation. Gutters need to be set to where the water runs away from the foundation into a drain system or away to another area, ALL water needs to run away from your home. Please give us a little information about your situation and one of our professionals will be back in touch with you to discuss your options.